Franz Köhler—not to be confused with Kohlert—was born in Graslitz in 1895. He began learning his trade while at Höfer in Graslitz from 1909-1912. Höfer is a nearly forgotten musical instrument company from the 19th century. The only instrument that I could find from them is this antique wooden flute catalogued by the Library of Congress. While finishing his journeyman’s certification in 1913, Köhler worked for Carl Kruspe in Leipzig, Oscar Adler, and finally with Gebr. Mönning. He ended up staying with Gebr. Mönning until 1933. After leaving Gebr. Mönning, Franz Köhler started his own, independent workshop at Erlbacherstr. 22 in Markneukirchen. It was in this workshop that he began making alto and tenor Empor model saxophones. Even in these early days Köhler was already supplying saxophones to companies like C.A. Wunderlich and Schuster, and was employing up to 10 journeymen. In April 1935, Franz Köhler obtained his master craftsman certification, and approximately 15 years after this, his company began offering a full set of conventional saxophones. 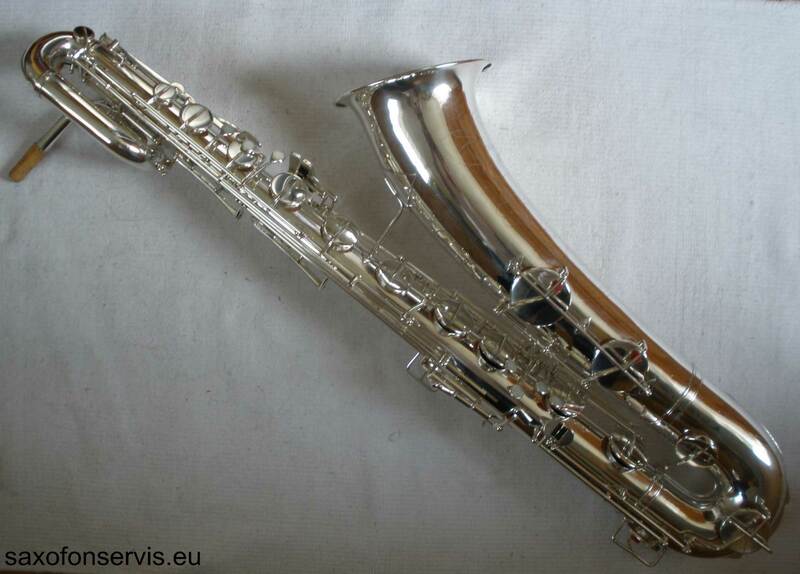 It was in the late 1940s and early 1950s, that Köhler rolled out their baritone and soprano saxophones. 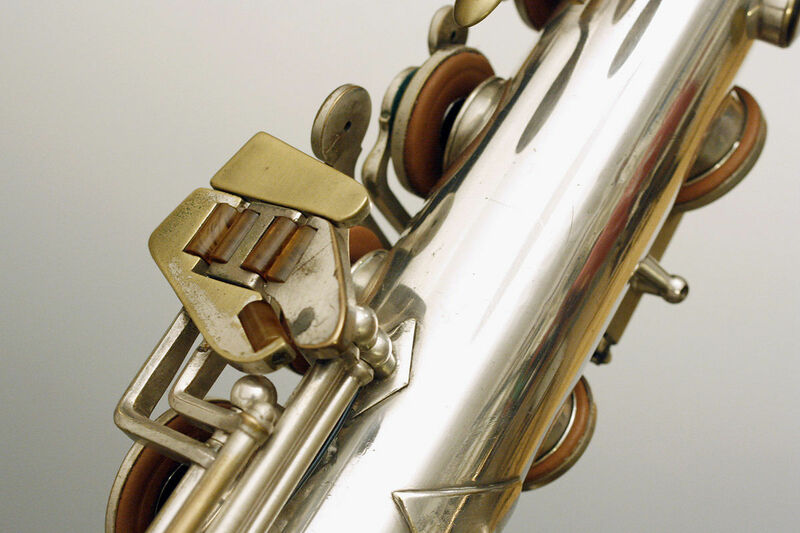 According to Enrico Weller, from the Musikinstrumentenmuseums Markneukirchen, the last F. Köhler saxophone was built in February 1961. After 1961 Köhler didn’t have anymore employees, but rather concentrated on repairs. By the time saxophone production ended, approximately 3,600 altos and tenors were manufactured in the F. Köhler plant. No word on soprano and baritone numbers however. Needless to say, those numbers would be considerably less. What the heck is MIGMA, and why do F. Köhler horns so often come engraved with that name? F. Köhler instruments often carry the name MIGMA. That’s because Franz Köhler was a member from 1954 to 1962. MIGMA is an acronym for: the Musikinstrumenten-Handwerker-Genossenschaft Markneukirchen. Translated, that would mean: Musical Instrument Manufacturer’s Cooperative Markneukirchen. MIGMA is not a manufacturer of instruments, rather they partner with master craftsmen and dealers specializing in instruments from Markneukirchen. According to former page on MIGMA’s site, since 1943 they have been marketing, selling, and distributing: strings, bows, guitars, brasswinds, Orff instruments, drummer’s sticks and mallets, accessories, as well as component parts. Anyone who has seriously studied the saxophones coming out of early to mid 20th century Germany will notice that there was a lot of X-pollination of ideas between the various manufacturers. There are a number of reasons for this, and not all of them had to do with copying (like the infamous D&J vs. JK case). In some cases it had to do with employees moving from company to company, and taking their design ideas with them. One example of this is Max Keilwerth, who improved on his own Pure Tone Trade Mark design ideas when he began work for Hohner on the President. As noted above, Franz Köhler supplied saxophones to the Eugen Schuster company. 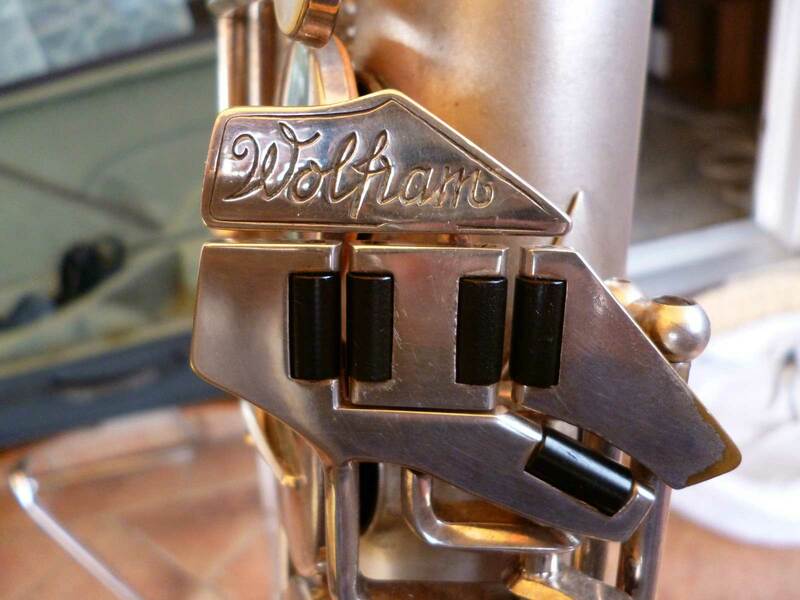 On the Oswald Wolfram page of this site I noted the similarities between the left pinkie clusters on the Eugen Schuster and Wolfram horns. If you compare the F. Köhler pinkie clusters to both of these makes, you will notice that they appear nearly identical. I am not implying that F. Köhler was the manufacturer of all Schuster and Wolfram horns—although we do know that he supplied at least some horns to Schuster. What I am suggesting however, is that one of those companies decided to use this style of left pinkie cluster, and the rest all decided to do the same for whatever reason. 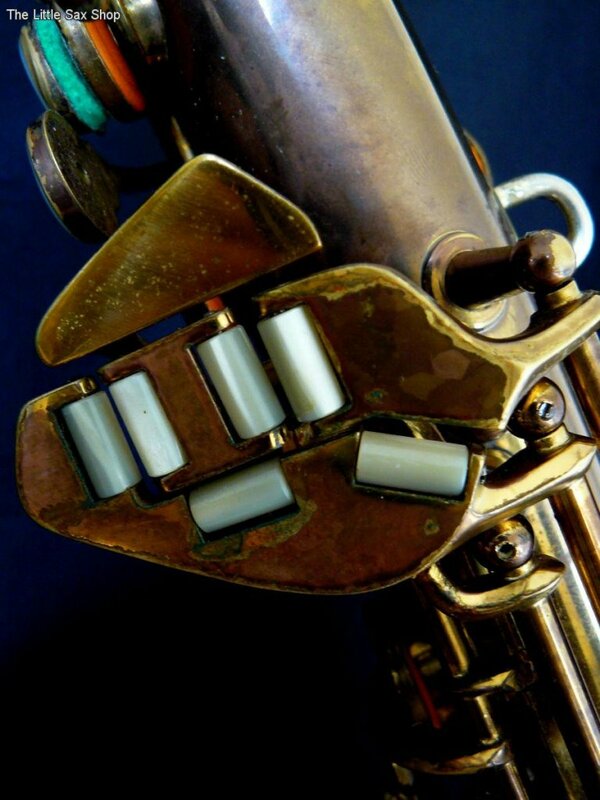 As for where the design came from, anyone who is familiar with Conn saxophones will recognize this style of left pinkie cluster as being reminiscent of the Artist series. Who came up with the idea first? Was it Conn? Was it one of the German companies? 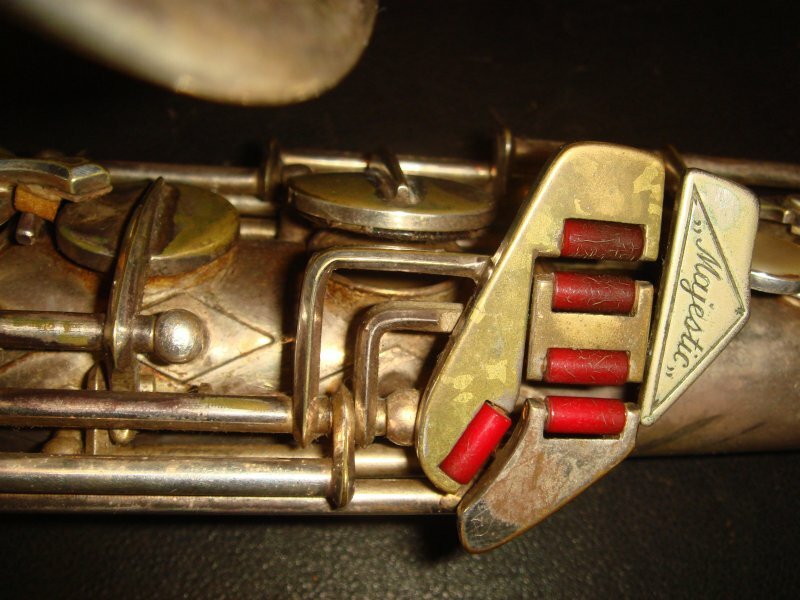 I can’t say for sure, but we do know that quite a few of the German manufacturers had a number of Conn-like features in their saxophones as early as the 1930s, so perhaps this was one of them. Or who knows, perhaps the Americans copied the Germans? One would have to do a lot more research before one could say with 100% certainty which company came up with what features first. Given Franz Köhler’s advanced training, it should perhaps not be surprising that he trained a lot of people at the company that bore his name. Two men who trained under Köhler, who went on to do their own very interesting work in the area of saxophones are Werner Roth and Martin Reiner. Franz Köhler died in 1977. I am currently in the process of putting together the Franz Köhler galleries in Bassic Sax Pix. There are a lot of photos to weed through and ID—especially when it comes to his early horns—so the process is more involved than I had originally thought it would be. Thus it is taking me a bit more time. If you have a Franz Köhler horn you would like to contribute to the gallery, please send the photos to me. This will greatly help in making these galleries more complete. Thank you! Note: A great deal of the information for this page came from the book: Saxophone: Ein Kompendium, by Uwe Ladwig. Second edition 2012, p. 137.